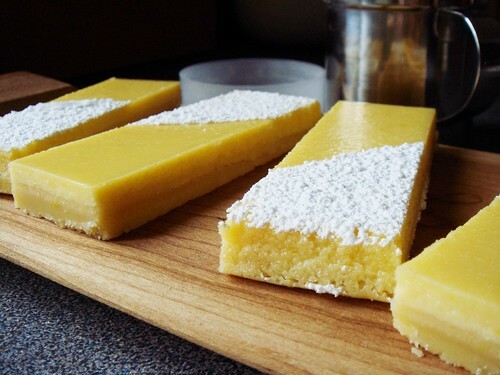 As much as I love tangy lemon bars, the classic recipe always makes me a little nervous. 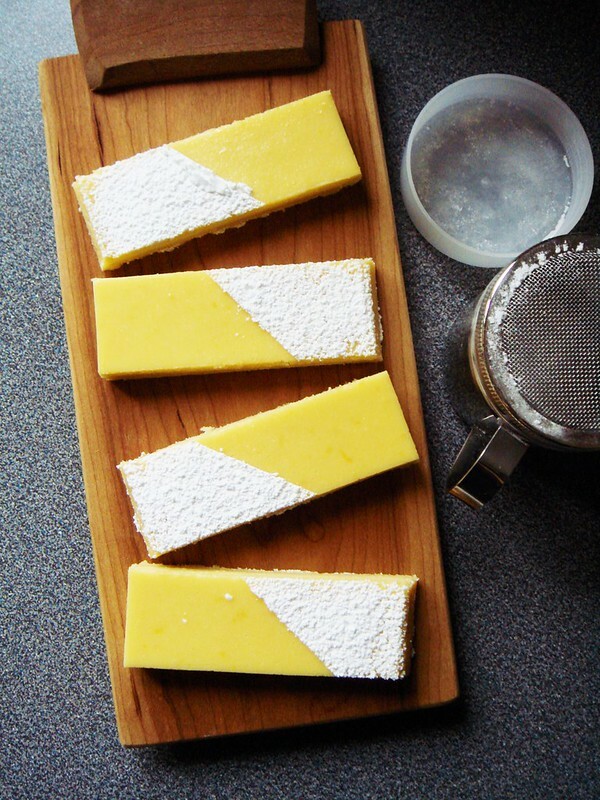 The delicate lemon curd topping straddles the line between a spread and a firm custard. I never know if it is sturdy enough to be cut into bars. The addition of fresh cheese alleviates my fear in a delicious manner. The filling has a bit more structure and tasted like a cross between lemon curd and cheesecake. I can imagine the recipe adapting well to other fresh cheeses such as fromage frais or cottage cheese blended smooth in a blender. 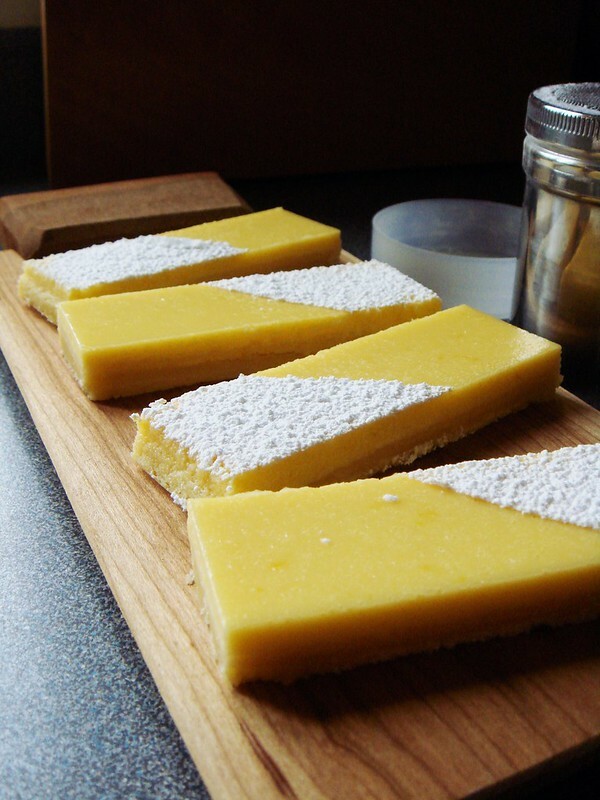 One unexpected gain from this batch of lemon quark bar is the shortbread crust. I’ve been on a lookout for easy shortbread base to incorporate into some chocolate bar recipes. This one is made entirely in the food processor and the crumbs pressed into pan to form even layer. I like how it is not fussy and it slices like a dream. With a topping of soft caramel and dark chocolate, it can turn into homemade Twix. It’s been a while since my last attempt with making chocolate bars. I think the time has come to pick it up again.